Josh Gordon is a wide receiver for the Cleveland Browns. At least he was, until he checked himself into rehab last week. It was a bit surprising to hear the news, but it was a move Gordon had to make if he wants his pro career to continue. For the past couple of years Gordon’s drug problems have caused him to miss a plethora of games, and he is costing the Browns’ organization money. What many people may not know is that his drug problems started before he was an NFL wide receiver. His run-ins with missing games due to drugs issues actually date all the way back to his college days. At Baylor, he was suspended for possession of marijuana. He and Willie Jefferson, a teammate of Gordon’s at Baylor, were found asleep in Jefferson’s car outside a Taco Bell by local police. Jefferson was kicked off the team due to that being his second violation, while Gordon was just suspended. In July 2011, Gordon was suspended for the entire season by Baylor coach Art Briles after testing positive for marijuana. One month later, Gordon transferred to Utah, but sat out the entire season because he declared too late for the Supplemental NFL Draft. In 2012, Gordon was drafted in the second round of the Supplemental Draft by the Cleveland Browns. In his rookie season, he finished with 50 catches for 805 yards and five touchdowns. Just when it seemed like the Browns had finally found their go-to receiver, Gordon was suspended for the first two games of the 2013 season for violating the NFL’s substance abuse policy. The 2013 season was not all bad for Gordon as he finished the season with 1,646 yards – which was number one in the NFL that year. Gordon had earned himself a nomination to the Pro Bowl. The 2014 season began with Gordon being suspended the entire season for violating the substance abuse policy again. However, after an appeal to the league it was reduced to 10 games. The Browns later suspended Gordon for the final game for violating team rules. The next season Gordon was again suspended by the NFL for the entire season for the same reason he was suspended the season before. Gordon applied for reinstatement to the NFL on Jan. 20, but he was denied in March after reportedly failing another drug test. On July 25 he was reinstated by the league, but was handed a suspension for the first four games of the regular season. 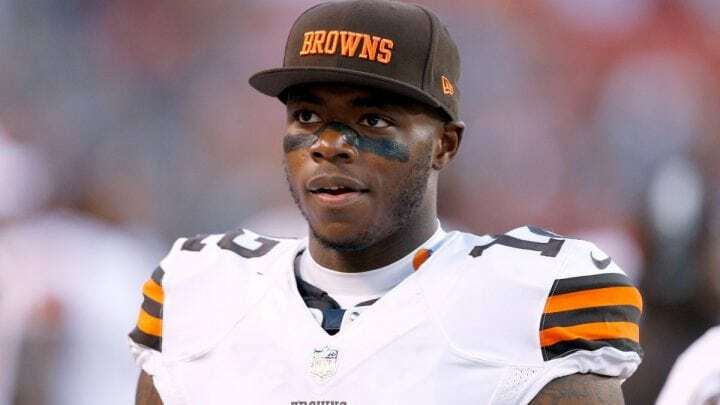 The very next day the Cleveland Browns organization announced they plan to release Josh Gordon. Hopefully for Gordon his stint in rehabilitation with help him get his life back on track and back into the NFL. Senior, Member of Tau Kappa Epsilon Fraternity, and Mass Communications Major with a Telecommunications track.